Congratulations to the Chicago Cubs on winning their division for the second year in row and making the playoffs for the third year in a row. That kind of thing happens to this team about, oh, once in a century. 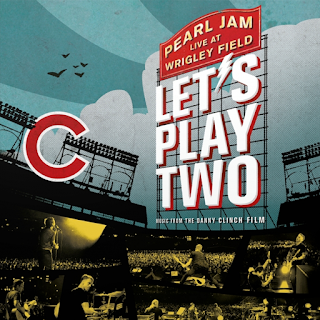 The music documentary Let’s Play Two! 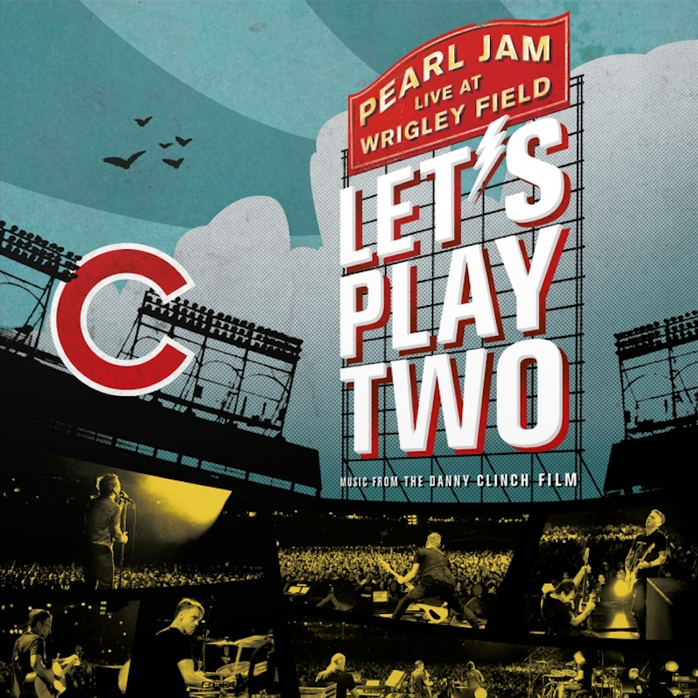 Pearl Jam Live At Wrigley Field is now showing at Arclight Chicago on Clybourn Avenue. Sun-Times movie critic Ricard Roeper gave it 4 stars, while Chicago Tribune music critic Greg Kot gave it 2 and a half stars. The third annual Irish American Movie Hooley kicked off tonight at the Gene Siskel Film Center and will run through this Sunday. The films The Dunning Man, Emerald City, and The Young Offenders will be screened. Chicago Book Expo takes place this Sunday from noon to 5:00 p.m. at Columbia College Chicago, 1104 S. Wabash Avenue. The free event promises 20 programs and over 80 exhibitors. Local alt rock band whitewolfsonicprincess will host a night of rock and roll at The Store venue at 2002 N. Halsted in Chicago tomorrow. Parallelicopter and The Remember Knots will also be performing. Earlier in the day, whitewolfsonicprincess will do a 3:00 p.m. show as part of Project Adoptable’s The Doggone Music Festival at IO Theater on Kingsbury in Chicago. Admission is $20, which includes a drink. Project Adoptable is celebrating its first year of saving dogs through adoption. Chris Hillman, an original member of The Byrds, will be performing along with Herb Pedersen and John Jorgensen next Friday, October 6, at The Old Town School Of Folk Music on Lincoln Avenue. The Fab Faux will be performing A Hard Day’s Night in its entirety, along with other Beatles tunes next Saturday, October 7 at The Vic Theatre. Martyrs’ on Lincoln Avenue has an eclectic four-act event coming up next Saturday. October 7 with the sci-fi, high energy music of Tomorrow The Moon, the catchy, coed indie rock of The Handcuffs, the rockabilly sound of The Amazing Heeby Jeebies, and the hard rock/punk of Samson The Aviator. The Dayna Clay Project will host the Unplugged: A Survivor’s Story In Scenes And Songs Book And Album Release - Benefit Show on Sunday, October 22 at City Winery Chicago. The event starts at 1:00 p.m. According to the Chicago Tribune, the book was inspired Kurt Cobain. Cheap Trick plans to release a holiday album titled Christmas Christmas on October 20. The 12 songs will be a mix of original music and covers, including “Silent Night” with an arrangement by Robin Zander and Julian Raymond. This Is This, a local band that took its name from The Deer Hunter and who recorded a couple of albums of catchy originals, will be doing its final show on October 21 at Buffalo Creek Brewing in Long Grove. The 53rd Chicago International Film Festival runs from October 12 to 26 at AMC River East 21, just north and east of the downtown area. In addition to screening movies from every imaginable genre and location, the event will offer tributes to Patrick Stewart of Star Trek: The Next Generation and X-Men fame, and iconic English actress Vanessa Redgrave. Regular screenings are $15; special presentations are $20; there are discounts for seniors or students; and multiple-show passes. Tickets went on sale today for the Celebrating David Bowie concert with Mike Garson, Adrian Belew, Gerry Leonard and others on February 23 at The Vic. Also available: Noel Gallagher’s High Flying Birds at Chicago Theatre on February 24; Rhett Miller and Matthew Ryan at City Winery Chicago November 30; Badfinger’s Straight Up performed live with Joey Molland at City Winery Chicago on November 20; Morrissey at the Riviera Theatre on November 25; and Robert Plant and the Sensational Space Shifters on February 20 at The Riviera Theatre. Congratulations to the organizers of Minstrelpalooza on a successful third installment of celebrating the Minstrels music store. The crowd at Durty Nellie’s in Palatine last Saturday was in a festive mood for a series of 30-minute sets by The Gus Adonis Band; Cracked Actor; Cliff Johnson With The Raine; Van Go; and others. There’s a new expanded edition of XTC’s Black Sea album on the way, according to writer Mike Duquette on The Second Disc website. The bonus material will include seven additional songs, including the previously unreleased “Let’s Ban The Bomb” and the non-LP single “Take This Town,” as well as videos for “Towers Of London,” “Generals And Majors,” and “Respectable Street.” Duquette also notes that people in the U.K. will be able to watch a new XTC documentary called This Is Pop on October 7. As noted by staff writer Nina Metz in the Chicago Tribune, Chicago performers Chris Redd and Luke Null have been added to the cast of Saturday Night Live. Writer Gary Richardson will also be joining the show, which has its season premiere tomorrow night. As listed in the new issue of the Illinois Entertainer, new albums are due out in October from Liam Gallagher on the 6th; and from Beck, Robert Plant, St. Vincent, and Tegan and Sara on the 13th. The October issue of I.E. also has Tom Lanham’s interview with Little Steven Van Zandt; a positive review of the new Sticks and Stones album by Kevin Lee And The Kings; and a full-page ad for the 4th Annual Chicagoland Vintage Guitar Show, which takes place November 19 at the Copernicus Center. Admission is $5. I’ve been wondering what Matt Smith has been up to since his successful take on The Doctor on Doctor Who, so I was glad to see he’s now portraying Philip, Duke Of Edinburg in the Sony Pictures television series The Crown. Music On Stage will present Little Shop Of Horrors, featuring Broadway actress and Tony Award nominee Felicia P. Fields as the voice of Audrey II, at Cutting Hall in Palatine starting October 14. The play will be directed and choreographed by Frank Roberts, with musical direction by Bobby Dietz. 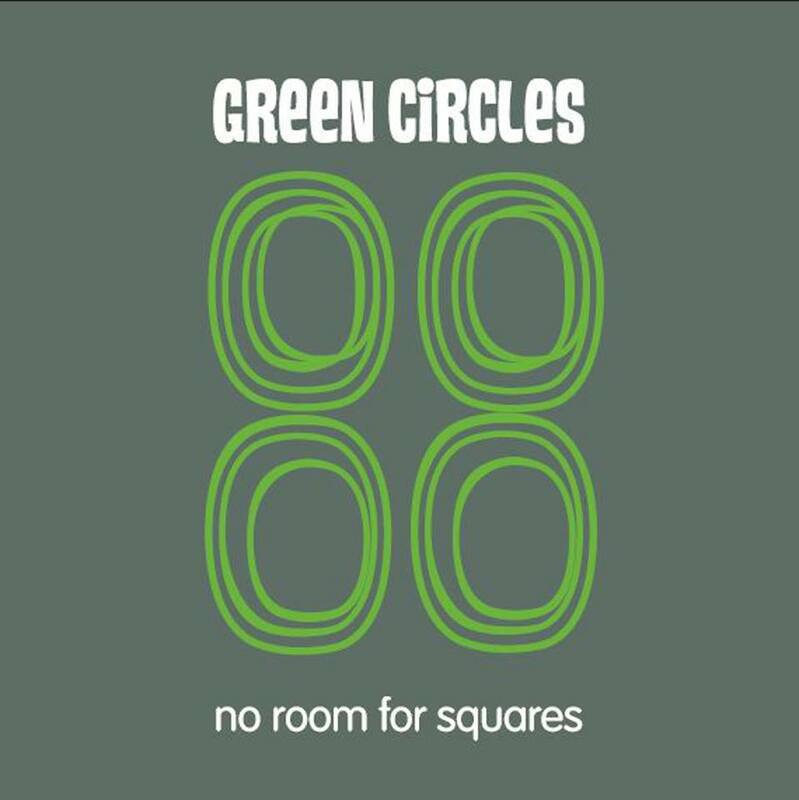 Green Circles aren’t well known outside their homeland of Australia, but the recently released No Room For Squares (available on Kool Kat Musik) shows it’s definitely worth getting to know them. The compilation reaches back to the band’s birth in 1998, includes tracks from various artists tribute albums they’ve been invited to contribute to, as well as some live performances recorded in 2013. Various lineups have come and gone over the years while Mark Gilbert remained at the helm. Gilbert and company are so proficient at psychedelic and garage rock, it would be easy to assume No Room For Squares dates back to the late 1960s. A rampaging take on The Stooges’ “1969” reinforces that impression. “Let Me Through” has a Beatles Revolver era allure and “Long Live Sivanandi”—originally recorded by the Adelaide band Inside Looking Out—vibrates with a hippie spirituality. “Stephanie Comes” is a prime example of what Gilbert calls “pastoral psyche tunes,” and “Flown” is an exotic fable. 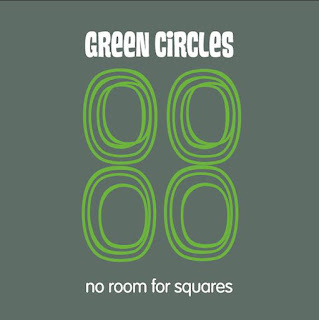 Green Circles, who took their name from a Small Faces song, are especially fun on the high-speed garage rock tracks. “Girl In A Morris Minor,” their official first release, and “Elevator Operator” set goofy metaphors to catchy, 1960s style arrangements, while “Tomorrow Will Be Fine,” a cover of a 1981 song originally released by fellow Aussies Sunny Boys, explodes with the feeling of losing control. 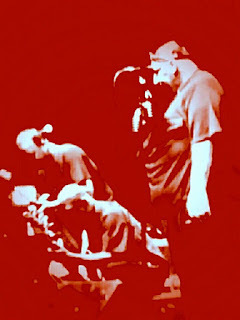 The live renditions of “Kneejerk Reaction,” “Dirty Taste,” and “Five Blue Moons” prove Green Circles has remained at full power over the years. Sidewalk Society’s fascination with The Action first surfaced on a seven-inch single they recorded for the U.K. vinyl-only label Fruits de Mer in 2016. That record offered four splendid cover versions—two originally done by David Bowie and two from The Action. Bowie, of course is famous around the world, but The Action was a short-lived Mod band in 1960s England that dissolved before it could release what might have been its masterpiece. The Long Beach, CA-based Sidewalk Society delves even deeper into its Action obsession with a new Fruits de Mer release driven by vintage demos of that lost album. 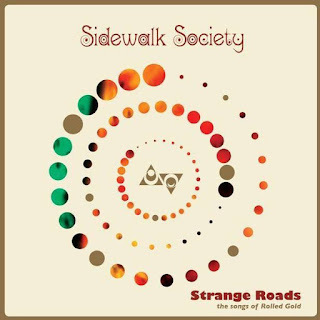 Strange Roads (The Songs of Rolled Gold by The Action) is a well-crafted tribute, although a few tracks, like “Brain” and “Little Boy,” fall prey to the more quaint or self-absorbed aspects of 1968. Listening to the peppy vocals on “Things You Cannot See,” it’s easy to imagine the band members in matching blazers and turtleneck sweaters. To see how well Sidewalk Society can do with its own material, check out my August 24, 2016 review of their Venus, Saturn And The Crescent Moon LP. Photo from the Official Smthereens Facebook page. A hearty welcome to all who have come to Chicago for Riot Fest this weekend. It’s probably the city’s last major outdoor rock festival of 2017, and one that still enjoys a good deal of cred among true indie rock fans. This year’s lineup includes New Order; X; The Cribs; Buzzcocks; The Regrettes; and The Orwells. You can find loads of information on the various acts performing in today’s Chicago Tribune and Chicago Sun-Times, as well as in the Redeye and Reader free papers. Innerview magazine devoted an entire issue to Riot Fest, but there may not be any copies still around. And, as revealed in a article by Ed Blair in this week’s Reader, Riot Fest has its own online magazine. 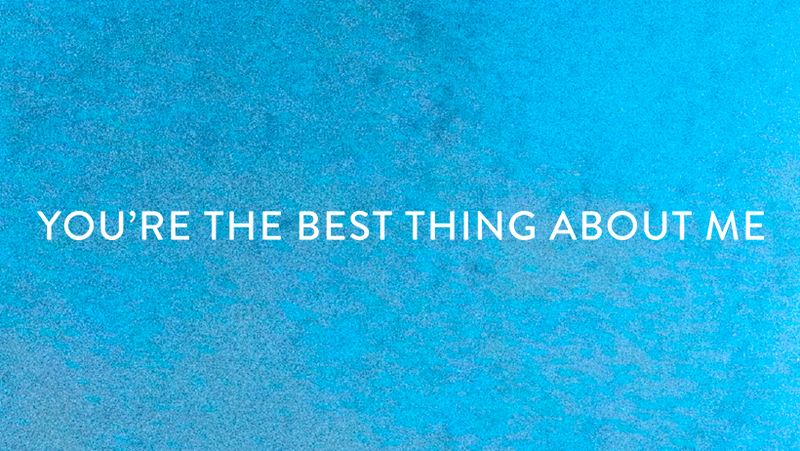 You’ll find the link at the top of the official website. On a related note, the Buzzcocks have an Official Riot Fest Late Night Show at The Cobra Lounge at 235 N. Ashland tomorrow night. Doors open at 10:00 p.m.; the music starts at 11:00. EXPO Chicago opened at Navy Pier earlier this week and will run through Sunday. This is the sixth year for the international art event, and over 3,500 artists and 135 galleries will be involved. In addition to art and sculpture, there will panel discussions, films, and videos. 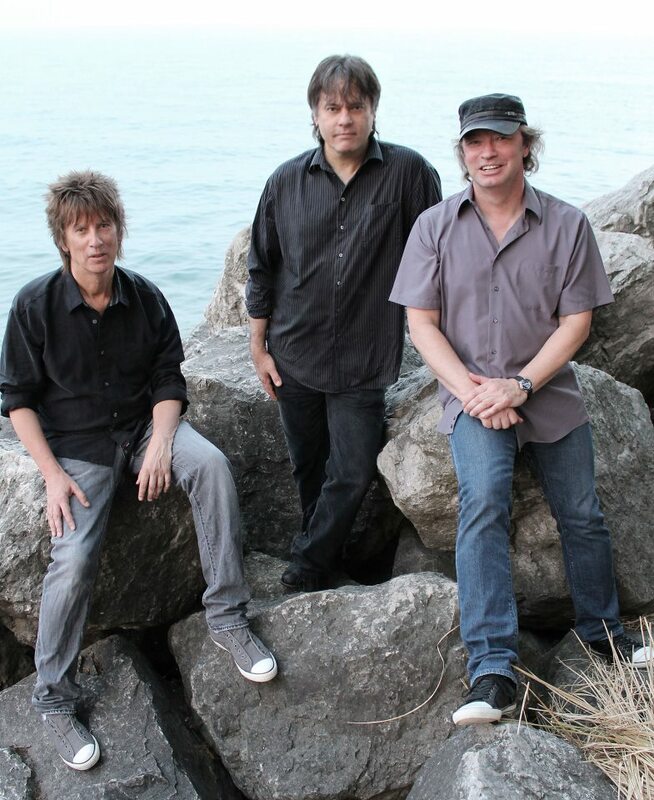 There will be a double dose of high-energy power pop at The Arcada in St. Charles tomorrow night when Cliff Johnson and The Raine open for The Smithereens. Johnson was the lead vocalist and driving force of Off Broadway, a Chicago-based band whose debut On remains a classic of the genre to this day. Off Broadway enjoyed several successful years on the club scene, but Johnson is now backed by The Raine, who also got their start in the 80s. I saw The Smithereens not too long ago in Schaumburg and they’re a top-notch live act. In addition to their own hits like “Blood And Roses” and “Behind The Wall Of Sleep,” they cover The Beatles and The Who. West Loop Art Fest is back for its third year but has a new location. It’s now on Fulton Street, from Morgan to Racine. Over 120 artists will be showcasing their work, and there will also be live entertainment and food trucks. Tickets are now on sale for a concert by The Posies on January 31, 2018 at City Winery Chicago. In the less distant future, Fastball will be playing that same venue on October 8 of this year. Congratulations to Park West on its 40th Anniversary. The Lincoln Park venue took out a back page ad for this week’s Reader, listing some of the artists it has hosted over the years, and it’s quite impressive. Ringo Starr And His All Starr Band; Adele; Talking Heads; R.E.M. ; U2; Patti Smith; INXS; B.B.King; Prince; Carly Simon; Bob Dylan; Stray Cats; Mavis Staples; The B-52’s; The Jam; The Strokes; OMD; Tina Turner; Roy Orbison; Iggy Pop; Steve Winwood; Tom Waits; Liam Gallagher; Genesis; The Go-Go’s; The Police; Todd Rundgren; The Pretenders; The Psychedelic Furs; Frank Zappa; and Cheap Trick make up less than half of the list. Some first-rate acts I’ve seen at Park West that weren’t included in the ad are The Smithereens; Matthew Sweet, Fountains Of Wayne; Jon Auer; Graham Nash; Material Reissue; Let’s Active; and Aimee Mann. Sons Of The Silent Age, a highly polished David Bowie tribute band that comprises veterans of the Chicago rock scene, has a gig coming next Friday, September 22 at Wire in Berwyn. New, a tribute a tribute act honoring the 1970s German electronic rock outfit Neu!, will also be on the bill. Sunshine Boys, the recently formed trio of Freda Love Smith, Jacqueline Schimmel, and Dag Juhlin, will be performing at Daly Barn on Saturday, September 30 in the Lincoln Square neighborhood. Utah Carol will also be on the bill; music starts at 7:30. This is the first official headlining show for Sunshine Boys, although they did an impressive short set of politically charged, energetic tunes as part of the Power Pop Shoppe Showcase at Elbo Room a while back. Martyrs’ on Lincoln Avenue has an eclectic four-act event coming up on October 7 with the sci-fi, high energy music of Tomorrow The Moon, the catchy, coed indie rock of The Handcuffs, the rockabilly sound of The Amazing Heeby Jeebies, and the hard rock/punk of Samson The Aviator. The show starts at 8:30 p.m. When The Smithereens play The Arcada this Saturday night with opening act Cliff Johnson and The Raine, it will the second power pop showcase at the St. Charles venue in the past two months. Also coming up, WNUR radio personality Kirk Fox will host his second Power Pop Shoppe Showcase on October 20 at the Elbo Room on Lincoln Avenue in Chicago. 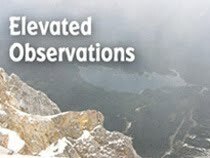 The Bishops’ Daredevil Stunt Club, The Addisons, The Peeves, and The Mark Watson Band will be performing. In that vein, here’s a long overdue look at the August 11 triple bill of Pezband, Shoes, and Dwight Twilley at The Arcada. Some bands hate being labeled as power pop, believing it suggests a lack of originality or confines them to a bygone era. The kiss of death in terms of marketing. Other acts, as well as their fans, see power pop as a simple equation: melody + energy = fun music. To be sure, its main inspiration comes from the mid-1960s, but in the right hands, power pop holds up as well as any current type of music. A recent event at The Arcada Theatre in St. Charles featured three bands that have been flying the power pop banner for decades and are still among the genre’s most vital practitioners. The Chicago-based Pezband performed “Baby It’s Cold Outside,” “Please Be Somewhere Tonight,” and “Close Your Eyes” from a 1977 self-titled debut that helped put power pop on the map. Vocalist-guitarist Mimi Betinis, bassist John Pazdan and drummer Mick Rain also rocked through the melodic gems “Stop, Wait A Minute,” and “Lovesmith.” It was a pleasant surprise to see Betinis cutting loose on guitar on a number of songs. After opening with the hard-driving and sensual “Animal Attraction” from their 2012 Ignition album, Shoes proved they’ve lost none of their pop instincts. The band’s set list stretched back to “Okay” from their self-released Black Vinyl Shoes in 1977 to the exquisite “Heaven Help Me” and the swaggering fun of “Hot Mess” from Ignition. Other highlights included “Too Late” and “Tomorrow Night” from their Elektra debut Present Tense, “Burned Out Love” from Tongue Twister, and the dreamy “Summer Rain.” Their final encore was a blistering take on “I Don’t Miss You." The Morning Line returns after an absence of eight years, with singer-songwriter Stephen Smith still at the helm. The seven tracks on the San Francisco-based quartet’s recently released Smoke EP reflect Smith’s background on the indie rock scene in bands like Salem 66 and Green Magnet School. There’s also a hint of Americana music running through this series of emotionally charged tales set to exquisite melodies. The mostly acoustic “Last One Of The Losers” works fine in a literal sense, but it’s also possible that Smith intends this detailed portrait of a club owner shutting down his business as a metaphor for a relationship that’s run its course. The mid-tempo “Stars To Me” likewise has a symbolic feel to it, but there’s no mistaking the barbed observations of big city life in “Los Angeles.” It’s also probably the only song with a reference to working at the since departed Tower Records. “Only Game In Town,” an energetic tune reminiscent of Gin Blossoms, gives us a guy who’s fed up with his unpredictable girlfriend, her relatives, and the boring people who live in the area. 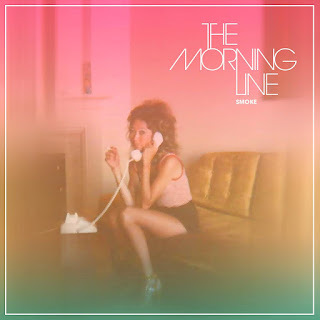 “Anybody Else” and “All Mine” also brim with negative sentiments, but The Morning Line gives them irresistible, power pop-meets-Americana arrangements. Smoke is available for download on the group’s Bandcamp site, which is where you can also buy a limited edition version on cassette. Photo of The Red Plastic Buddha by Lee Klawans. After the first two bands performed at the Kaleidoscope Eye Festival Of Modern Psychedelia this past Saturday night, it was apparent that psychedelic rock is not strictly a baby boomers’ fascination. Diagonal and White Shape both comprise young musicians fully immersed in the genre. White Shape even organizes a psych rock festival in its hometown of Rockford, IL. 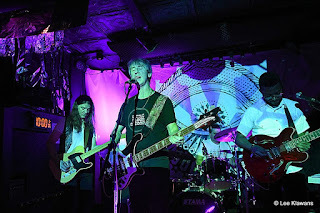 Created by Tim Ferguson from The Red Plastic Buddha; Gregory Curvey from The Luck Of Eden Hall, and journalist/photographer Lee Klawans, Kaleidoscope Eye brought 15 bands from around the country to the LiveWire Lounge on Chicago’s north side. Seven bands, including The Luck Of Eden Hall, played on Friday night, and eight performed on Saturday. I’m not sure if Ferguson has run an event like this before, but during the three-plus hours I was at LiveWire Saturday, he took to the role quite naturally. In addition to introducing each act, he helped move gear off and on the stage after each set ended. A playlist of psychedelic music ranging from 1960s acts like Count Five to current practitioners kept the vibe going between live performances. Each band benefited from imaginative lighting and swirling visuals crafted by the same tech duo that provided first-rate sound quality throughout the evening. A merchandise table sold CDs, posters, and t-shirts of the various groups involved, and there was a sense of community in seeing so many of the musicians hanging out before and after their shows. Diagonal, led by charismatic lead vocalist Andy Ryan, was equally proficient at crafting atmospheric dreamscapes and high energy numbers. White Shape singer-keyboards player Kayla Hall’s haunting vocals were woven into hypnotic arrangements and the band would also break loose with some hard-hitting instrumentation. Constantine, which has a longtime loyal following on the midwest club scene, dressed in flower power inspired outfits, and their well-crafted arrangements evoked Traffic by tapping into elements of jazz. The Red Plastic Buddha once again proved it’s capable of recreating the adventurous songs vocalist-bassist Tim Ferguson composed for their albums. Guitarist Derik Kendall fueled each number but all the band members played with precision and power. They opened with “She’s An Alien” from the Songs For Mara album and followed with a number of freewheeling, psychedelic songs. I couldn’t stay for the the sets by The Orange Pop, Magic Castles, Warhorses, and Sisters Of Your Sunshine Vapor, but it’s a safe bet they carried on in mind-bending fashion. It was a pleasant surprise when WXRT air personality Johnny Mars introduced a new song by U2 the other day. 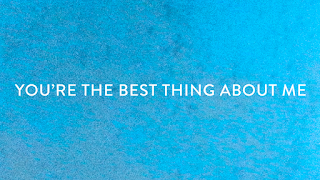 The melodic “You’re The Best Thing About Me” will be on a new album titled Songs Of Experience due out in December. WXRT’s morning DJ Lin Brehmer did a short telephone interview with U2 frontman Bono that can be heard on the station’s website. Brehmer was decidedly NOT among those whining about how evil U2 was to deliver a free album a few years back. By the way, congratulations and best wishes to David Bash and Rina Bardfield on their upcoming marriage. I wonder if they’ll have six bands at their reception, each playing a half hour set. 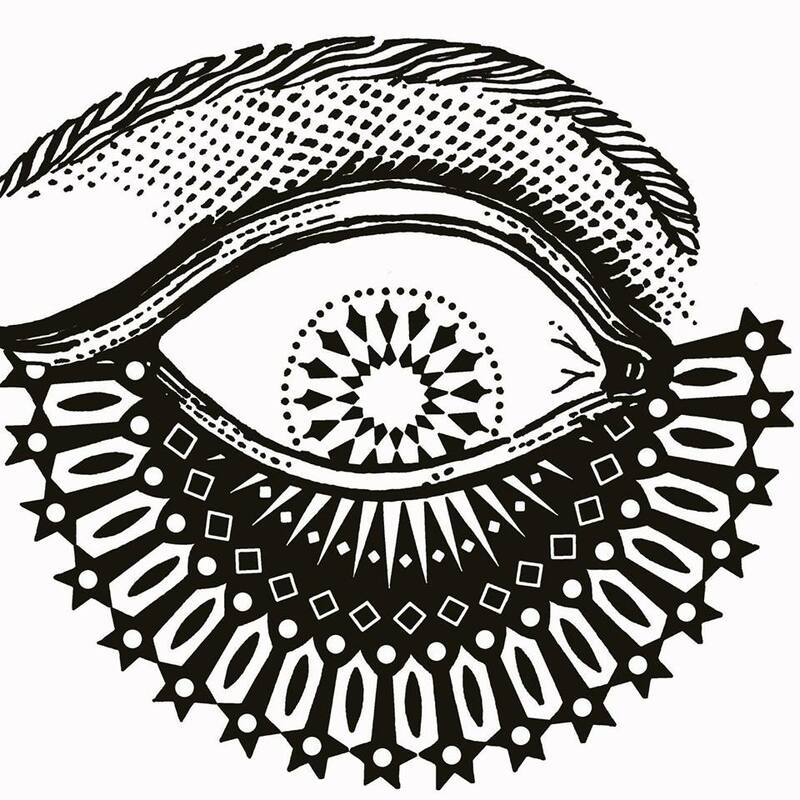 Kaleidoscope Eye Festival Of Modern Psychedelia continues tomorrow night with eight bands at the Live Wire club. Diagonal kicks things off at 7:00 p.m., and will be followed by White Shape; Constantine; The Red Plastic Buddha; The Orange Drop; Magic Castles; Warhorses; and Sisters of Your Sunshine Vapor. Live Wire is located at 3394 N. Milwaukee. Chicago Fringe Fest finishes up its 2017 run this weekend in Jefferson Park. Those interested in attending will need to buy an admission button for $5.00 (only one is needed for the entire festival), as well as a $10.00 ticket for each show. Riot Fest returns to Chicago for three days at Douglas Park next weekend. Participating acts include New Order; X; The Cribs; Buzzcocks; The Regrettes; Paramore, and The Orwells. The Buzzcocks will also be at Cobra Lounge on September 16, and The Orwells have a gig at House Of Blues on September 14. Cliff Johnson and The Raine will be the opening act when power pop masters The Smithereens return to The Arcada in St. Charles next Saturday, September 16. My wife Pam and I met several fun and interesting people at The Windy Kitty Cat Cafe And Lounge’s fundraising event last Saturday night. Chris Poole, whose Facebook page featuring his cats Cole and Marmalade is gaining popularity, was there for the entire event, chatting with just about all of the guests. He reminds me of Arthur Darvill of Doctor Who and Legends of Tomorrow, but maybe it’s just the English accent. Once it officially opens, The Windy Kitty Cafe and Lounge will give people an opportunity to enjoy beverages while visiting with up to 10 cats available for adoption. Fear The Summer, Colman Gota’s followup to last year’s impressive Tape album, once again finds the Madrid-based multi-instrumentalist delivering catchy, guitar-driven songs about navigating life and relationships. In my July 5, 2016 review of Tape, I noted Gota’s acerbic observations are reminiscent of Elvis Costello and Graham Parker, and that holds true for this new collection. The consistently fun arrangements, which also feature a variety of keyboards, fall somewhere between pub rock and power pop. Gota’s conversational vocal style is well suited to the material, particularly when he addresses an ex-lover on the rollicking “Can I Get It Back” by singing, “I want my life back, if you happen to have it.” The energetic “Never Lie” has Gota contemplating, “Sometimes you wonder what’s on people’s minds, but if I think about it, I’d rather not know.” The title track flips the usual equation of summer with romance by giving us a guy who dreads the season because it brings back memories of a busted relationship. Singer-guitarist Jimmy Rane brings his hard-edge power pop band The Viaducts to FitzGerald’s in Berwyn tonight, where they’ll be joined by the Wooly Rhinos and Allegra Malone. 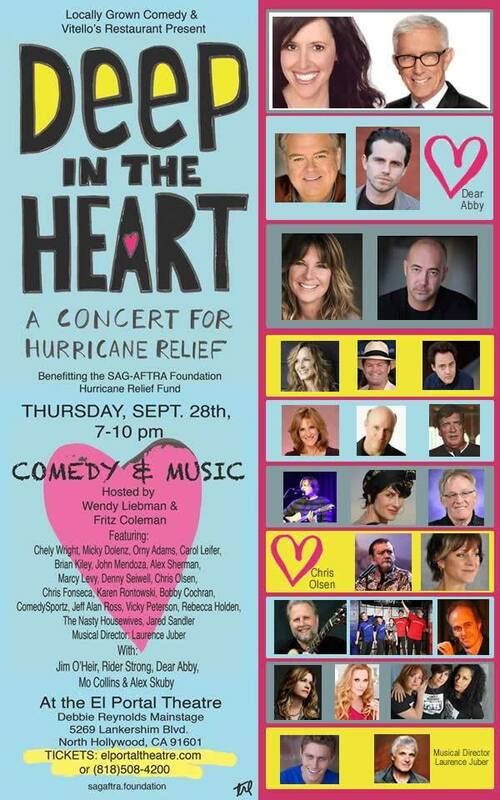 The music starts at 8:00 p.m. 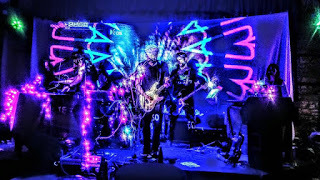 It seems like only yesterday the Kaleidoscope Eye Festival Of Modern Psychedelia was a gleam in vocalist-bass player Tim Ferguson’s eye as we talked before his band The Red Plastic Buddha blew away the crowd at International Pop Overthrow - Chicago last April. Ferguson, Gregory Curvey from the critically acclaimed Detroit-based psychedelic rock band The Luck Of Eden Hall, and writer/photographer Lee Klawan now have all the pieces in place for the festival’s debut next weekend at Live Wire on Milwaukee Avenue. 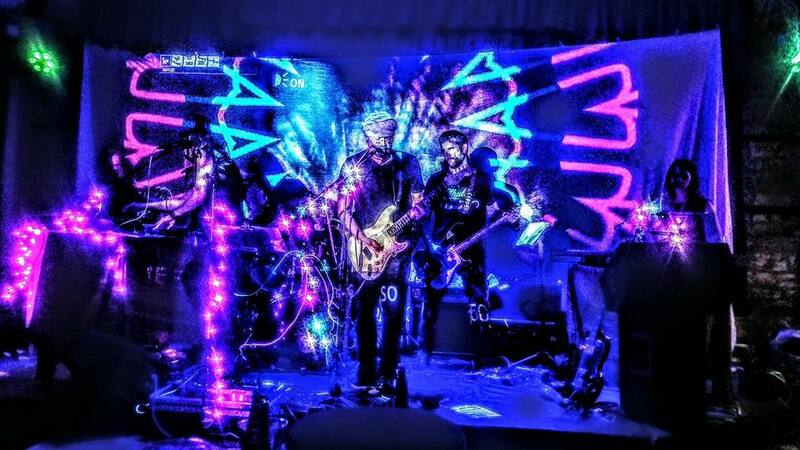 Fifteen bands from around the country and representing various facets of psychedelia—“nearly every combination you could imagine,” according to the Facebook page—are scheduled to perform Friday and Saturday. 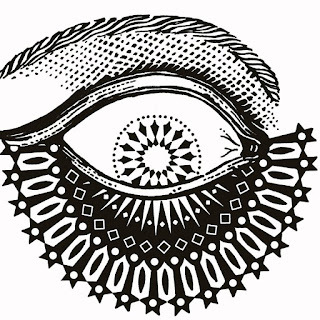 Single day and weekend tickets, as well as deluxe packages and merchandise, are available at the Kaleidoscope Eye Festival website. The Polonia Festival takes place in Jefferson Park over this Labor Day weekend, and one of the highlights is sure be the Tributosaurus becomes Tom Petty show tonight. Other bands will be going the tribute route at the Polonia Festival, including Heartless as Heart; Reely Dan as Steely Dan; American English as The Beatles; Beggars Banquest as The Rolling Stones; and CTA as Chicago. Jefferson Park is once again also hosting the annual Chicago Fringe Fest, which opened last night and will offer 47 shows over the next two weekends at The Gift Theatre; Windy City Music Blackbox Studio; Jefferson Playhouse; and The Congregational Church of Jefferson Park. Those interested in attending will need to buy an admission button for $5.00 (only one is needed for the entire festival), as well as a $10.00 ticket for each show. There are also 4-pack, 10-pack, and unlimited package deals. The Windy Kitty Cat Cafe And Lounge at 1746 W. North Avenue in Chicago is hosting a fundraising event from 6:30 to 9:30 tonight and tomorrow night that will also offer a preview of the soon-to-open venue. WGN radio personality Steve Dale is on hand tonight, and Chris Poole, whose Facebook page featuring his cats Cole and Marmalade is gaining popularity, will be there tomorrow night. The $30 admission price for each night also includes hors ‘doeuvres, refreshments, a silent auction and raffles. Once it officially opens, The Windy Kitty Cat Cafe and Lounge will give people an opportunity to enjoy beverages while visiting with up to 10 cats available for adoption. New albums coming out next Friday, September 8 include Antisocialites by Alvvays; Shades by Living Colour; Hitchhiker by Neil Young; and Native Invader by Tori Amos. Later this month, we’ll see releases from Ringo Starr; Chris Hillman; Stephen Stills and Judy Collins; David Crosby; and Wolf Alice. Riot Fest returns to Chicago for three days at Douglas Park starting on Friday, September 15. Participating acts include New Order; X; The Cribs; Buzzcocks; The Regrettes; Paramore, and The Orwells. The Buzzcocks will also be at Cobra Lounge on September 16, and The Orwells have a gig at House Of Blues on September 14. Power pop masters The Smithereens will return to The Arcada Theatre in Charles on Saturday, September 16. The recently announced 2017 – 18 season at the Prairie Center for the Arts in Schaumburg includes a double bill of The Love Generation 1967 – 1970 and the Joe Cocker Tribute Band on Friday, September 29. According to a promotional email from Prairie Center for the Arts, the former features local musicians covering The Beatles, Rolling Stones, Aretha Franklin; The Doors, Jefferson Airplane, and other late 1960s acts. Derrick Procell leads the Cocker tribute. Sons Of The Silent Age, a highly polished David Bowie tribute band that comprises veterans of the Chicago rock scene, has a gig coming up on September 22 at Wire in Berwyn. New, a tribute a tribute act honoring the 1970s German electronic rock outfit Neu!, will also be on the bill.